Famous leaker Evan Blass just posted what appear to be official renders of every angle of the upcoming LG G7 ThinQ. Now that we've seen everything its design has to offer, what's the verdict? In my opinion, LG has made some poor choices. With the G7 ThinQ, LG has chosen to follow in the footsteps of Apple and Samsung flagships for a few design elements, like many other brands have. 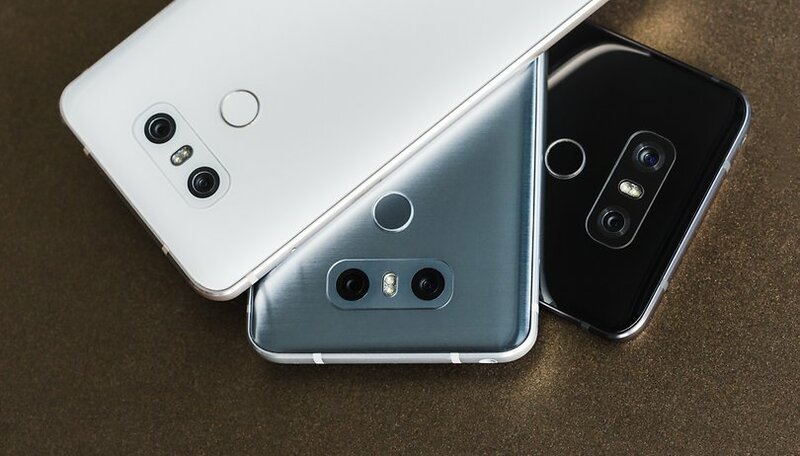 Taking cues from trends isn't always a bad idea, but in this case, I would argue that it was since these are some of the most controversial and hated trends in smartphone design. Take a look at the renders below and you'll notice two things: the notch (with a big chin bezel) and the fourth button on the left side (for Google Assistant). There's been endless chatter about the notch. Some love it, some hate it and some are tired of hearing about it. But, we have to accept that it's a trend in 2018 thanks to Apple, whether we like it or not. It would hardly be worth mentioning its presence here if it weren't for the fact that LG has added the notch but missed the point of it completely. The point of the notch is to minimize bezels and maximize display size. You could call it a failure of implementation. The point of the notch is to allow a smartphone's display to take up as much space on the front of the device as possible, while still leaving room for essentials like the front camera. But, on the leaked G7 ThinQ renders, one can clearly see there's still a lot of leftover bezel there. In fact, the chin bezel is so much larger than the top bezel that it gives the impression that the display could have just been moved down and the notch skipped entirely. So why bother? This is a case of pointless trend chasing. Smartphones typically have three buttons on the side: volume up, volume down and power. The render above shows a fourth button. What could it be for? LG has its sights set on an AI-heavy strategy with the ThinQ branding, so it could be for the AI Cam, or for activating an AI helper. Rumor has it that the button on the left side will be for Google Assistant, according to a report from Cnet. It would be the first of its kind. But, did LG not hear about the Bixby button controversy? I don't want a dedicated assistant button on my smartphone. If the overwhelmingly negative reaction to the Bixby button on the Samsung Galaxy S8 was any indication, this is a bad move for LG. Though some of that criticism had to do with Bixby not yet being mature, users were upset at having a dedicated hardware button they didn't ask for and couldn't reprogram. If LG's extra button truly is for Google's Assistant and not for a proprietary AI, then the company doesn't stand to gain as much as Samsung did from forcing it onto users either. What do you think of the LG G7 ThinQ's design? Do you appreciate the notch in spite of the chin bezel, or the extra button?